After a long, harsh winter, you may find that your house, garage, or garden shed is in need of a new roof. When it comes to choosing roofing materials, there’s no better choice than metal roofing. Not only can metal roofs last at least 50 years when taken care of properly, but they are durable and easy to maintain. Let’s talk about why metal roofs are so great. As previously mentioned, metal roofing can last over 50 years! Metal roofs keep out the water, resist fire, can withstand strong winds, and are overall very durable. If you take care of the roof properly, you won’t have to worry about insects, mold, or rot. Because this roofing material is so durable, roof troubles are one less thing you’ll have to worry about. You’ll be able to save both time and money on roof repairs or replacement. Metal is one of the most lightweight roofing materials available. Because it’s so lightweight, it can be installed quickly with ease. The materials come in large sheets, meaning it takes much less time to install than other materials. 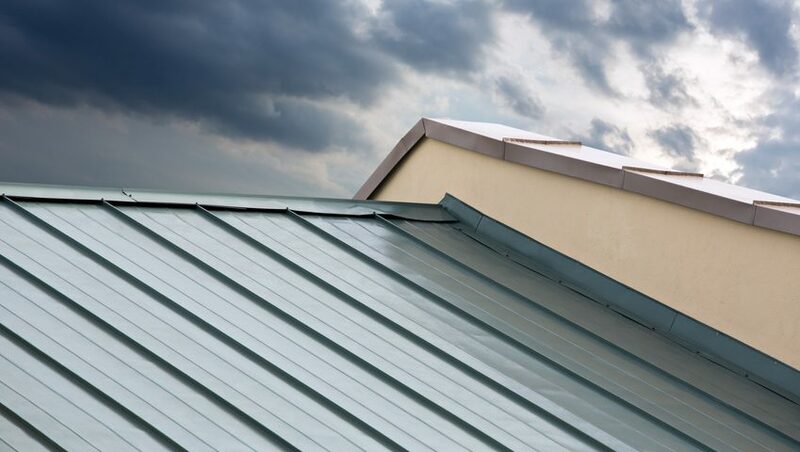 Furthermore, depending on your existing roof and the type of metal you choose, you may be able to have the metal material installed right on top of your current roofing materials. If that is the case, you’ll be able to save significant time and money without having to tear up your existing roof. And because of the easy installation, you’ll be able to save on labor costs as well. While it’s true that the metal material itself is not a good insulator, the way the metal roofing is installed can significantly improve energy efficiency for your heating and cooling system. Many many roofs are installed with leaving space between the metal and the roof deck. This means the dead air space in between can act as an insulating barrier. Additionally, the sunlight can be reflecting off of the metal, keeping your house cool. As you can see, metal roofs have plenty to offer. If you’re looking for a low-cost, durable, reliable material that will leave you worry-free, choose metal roofing.